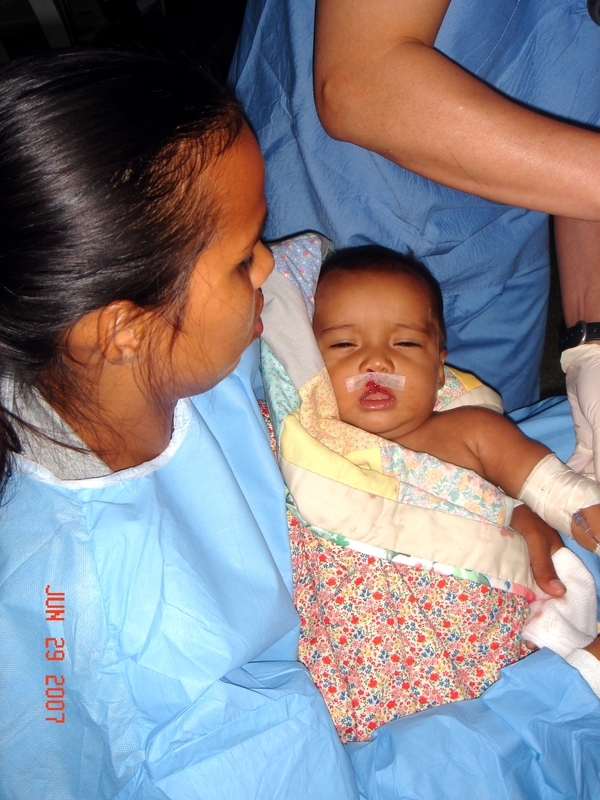 Across the world, one in every 700 babies will be born with a cleft lip or palate. In America, this congenital deformity is corrected soon after birth, but in developing countries there is often no access and no money for the surgery. These children face a lifetime of hardship and heartache as they can’t smile or eat properly, and are likely to be shunned and stigmatized for their facial defect. But not if the volunteer doctors, nurses and surgeons at Rotaplast have anything to say about it. 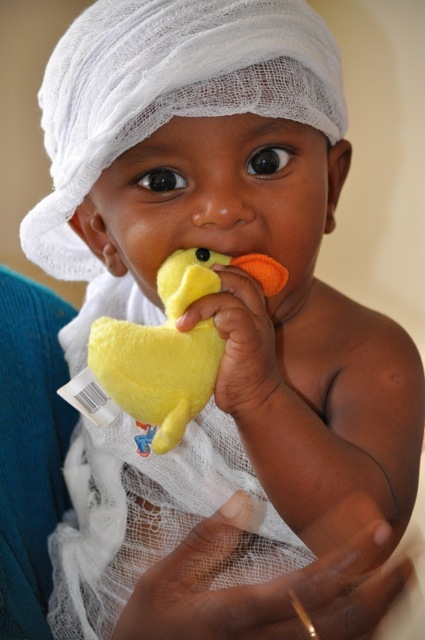 Started by Dr. Angelo Capozzi in collaboration with the Rotary Club in San Francisco in 1992, Rotaplast completed one surgical mission a year, then two, then became a separate non-profit corporation and in May 2008, Rotaplast served its 124th mission and has treated over 10,000 children in Vietnam, Colombia, Chile, Argentina, Mexico, Venezuela, Bolivia, Peru, Guatemala, Ecuador, El Salvador, Romania, China, Ethiopia, India, Nepal, Brazil and the Philippines. I learned about Rotaplast on one of the worst vacations of my life, in the Copper Canyon, Mexico. Larry and I staggered into our remote hotel after 14 grueling, freezing hours on the road, only to meet the incredibly elegant and beautiful June & Roland Minami. Over dinner when I learned Roland was a plastic surgeon, I immediately wanted to quiz him about nips, tucks and botox, until he added,“but the best part of my job is my work with Rotaplast.” Oops, shallow vanity alert! For twelve years, Roland has been volunteering on trips with Rotaplast (Capozzi was a friend and Stanford classmate) and he serves on the board. His last trips were to China and Ethiopia. Each Rotaplast mission lasts about two weeks, and they are planned a full year in advance. Volunteer surgeons, anesthesiologists and nurses travel with a self-contained hospital, bringing all medicine, monitors, sutures, technology, and electricity with them. Because the Rotarians are involved (and nobody can outmanage a Rotarian) the operation is locally organized, involves a great deal of training of local doctors and nurses so the countries can become self-sufficient, and is a life-changing event — both for the children and the medical volunteers. Rotaplast partners with Rotary Clubs nationally and internationally and is supported by donations from hospitals and medical equipment companies, as well as from Smile Train – a fundraising organization which actually does not perform the operations as Rotaplast does. 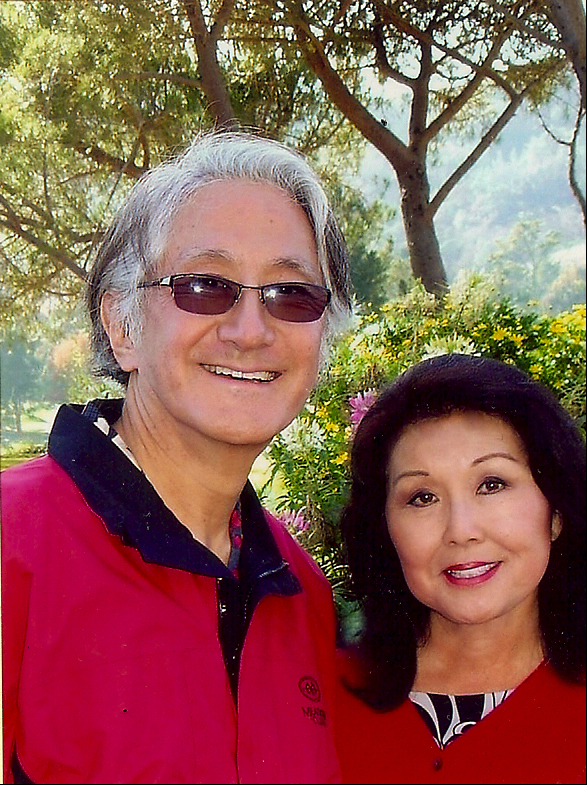 My $100 today goes to Dr. Roland & June Minami’s cause, and next year, I’m committed to going on a Rotaplast mission…as a non-medical volunteer (don’t worry).